When I began my real food journey, I vowed that no matter what I did differently to achieve health, I would NEVER cut wheat and sugar from my diet. Of course, I had no idea that wheat and sugar were among the primary causes of my poor health and out-of-control weight gain. Since realizing the connection, I’ve become committed to avoiding wheat and sugar as much as possible. But, I have to be honest, I really miss brownies. And cake. And cookies. Store bought gluten-free snacks still contain sugar and aren’t always nutritious. In addition, they are costly. Making my own sweet treats at home saves time and my health. Still, I was seriously lacking in recipes for nutritious indulgences. 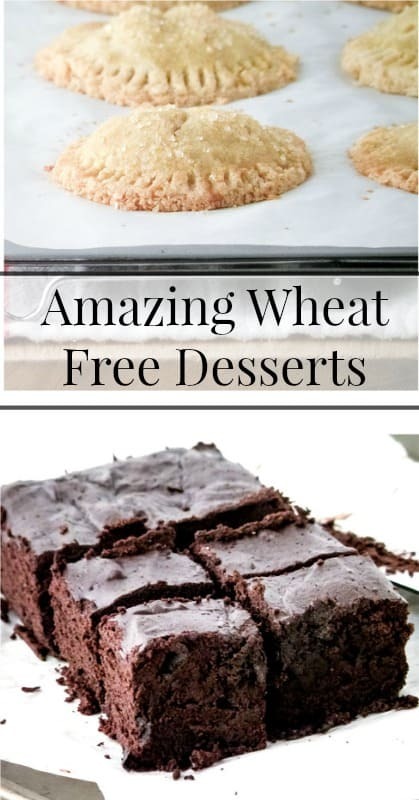 Thanks to Carol of Ditch The Wheat and her incredible cookbook Indulge, I can enjoy my favorite sweets without the negative side effects of grain. All of the recipes in Indulge are wheat and refined sugar free! My two favorites so far are the Flourless Brownies and the Sunday Special Coffee Cake. There’s also caramel cake, chocolate truffle cake, vanilla custard, lemon tarts and so many more grain-free recipes. Not only are the recipes in Indulge grain free, they’re dairy free, too. What if you could make your own homemade dairy-free vanilla ice cream or cold “Reese’s” cups? And, Carol includes the recipes for many great dessert toppings, such as Berry Sauce, Chocolate Coating, Chocolate Fudge, Chocolate Ganache, Double Double Caramel, Dairy Free condensed Milk, Chocolate Chips, Sprinkles, Raspberry Jam, Swiss Meringue Icing, Vanilla Custard, and White Drizzle Icing. Wow! Do you love cookies? Be sure to check out the recipes in Indulge for grain free Apple Pie Cookies, Classic Coconut Macaroons, Raspberry Coconut Macaroons, Cranberry Cookies, Meringue Cookies, Pumpkin Pie Meringue Candy, Cinnamon Toast Crunch Cookies, Nutty Butter Cookies, Puffed Marshmallow Cookies, and Raspberry Tea Cookies. Are you salivating yet? I am. After I post this article, I’ll need to head straight to the kitchen, y’all. Hey, even if you’re not following a grain-free diet, you probably know folks who are. It’s important to have a cookbook like Indulge on hand for making awesome grain-free desserts for get-togethers. Get Your Copy of Indulge Here!